Here is your personalized list of special downtown eateries to chow down at between sets at Treefort. You don’t want to miss out on this amazing opportunity to see some of the city’s coolest hangouts, meet some fantastic people, and of course, sink your teeth into some irresistible food. Here are the top 13 places to grab a quick bite while at the festival. Flatbread uses locally-sourced ingredients to make perfectly crafted pies like Prosciutto Pesto, Tuscan Chicken, and Roasted Chicken and Portobello. They specialize in the creative, and fuel their fires with passion. Made-from-scratch Neapolitan pizza roasted to perfection in an 800-degree-wood-burning oven. Enough said. 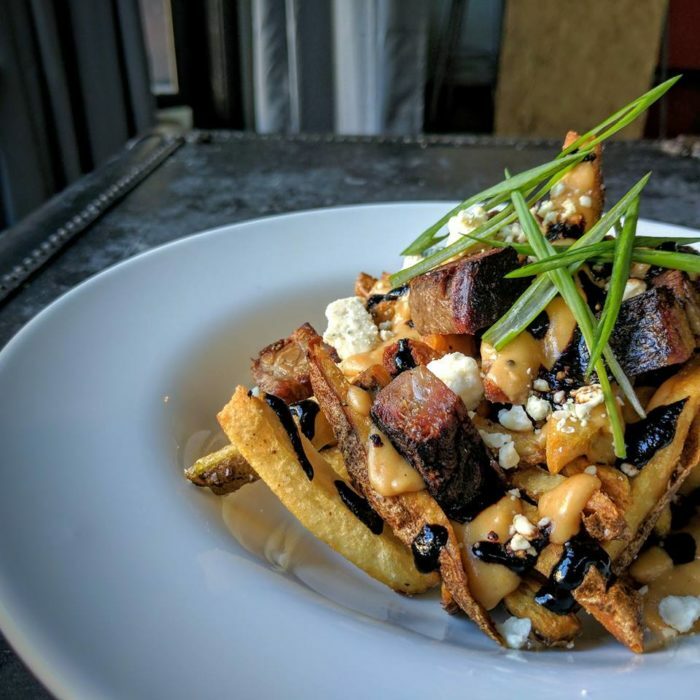 By implementing their “Loyal to Local” pledge, owners Cameron and Amanda Lumsden are committed to sourcing as many ingredients as possible from the local Boise and Northwest farmers, bakers, ranchers, brewers, and producers. Fork’s Slow Roasted Bbq Ribs are to die for, and their Wild Mushroom and Local Herb Pesto Ravioli will take your taste buds on a journey to paradise. Working closely with local farmers and growers, Juniper Kitchen and Cocktails uses upscale flavors in a fun and comfortable atmosphere. You can sit at the chef’s table and enjoy a prix fixe meal and wine pairing chosen specially by Chef Aaron. Try a Grilled Browns Bison Burger made with honey mustard and caramelized onions or get the local favorite, the Lava Lakes Lamb Reuben with sweet pepper aioli. Recently opened, right smack dab in the middle of Boise, Main Street Deli has quickly made a name for itself by crafting out-of-this-world soups, salads, and sandwiches. They locally source their ingredients whenever possible and slow roast their meats in an in-house brine for days. When you visit, feast on the “Downtowner,” a sandwich with fresh roasted turkey, applewood smoked bacon and avocado. Hearty pizza to satisfy all your cravings and a list of over 110 beers make for the perfect downtown hangout. Old Chicago has been dishing out heavenly pizzas for more than 15 years in the City of Trees. Stop in and grab a hot and fresh pepperoni calzone and pair it with an amber lager. Seasonal American cuisine, astonishing cocktails, and a stylish lounge make Red Feather one of Boise’s most sought after restaurants for dining. From handmade burgers to their Charbroiled Salmon and Wild Mushroom Risotto, every dish has a unique range of flavors that will treat your taste buds. Reef is an escape from reality, a retreat into a tropical paradise known for serving exotic drinks and outstanding food. Locals relax, enjoy great food and drink, and catch up with friends here on a regular basis. Choose from a variety of fresh seafood, steak, or the locally renowned Jerk Chicken and wash it down with your favorite island-inspired beverage. 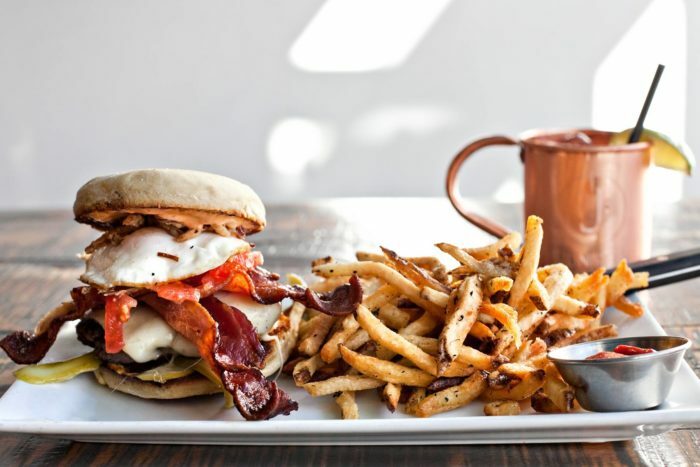 Pairing extraordinary food with bourbon and beer has put Saint Lawrence Gridiron on the map in Boise. 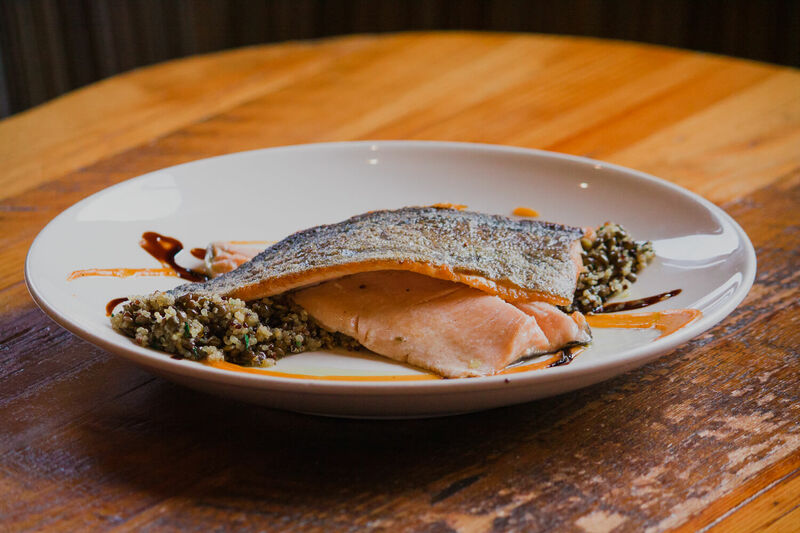 Delectable brisket platters, Hot Chicken, and Seared Trout with smoked cauliflower and sage brown butter are among the list of enticing entrees ready to be tasted. During your visit be sure to try their rib plate with mustard and bourbon glaze. No matter what you’re in the mood for, Solid Grill & Bar has something on their menu to satisfy your cravings. From their homemade Ahi Salad and Herb Roasted Chicken to their Hummus Plates and Street Tacos, you’re sure to leave satisfied and full. Order the Solid Salmon – it’s pan-seared with a honey buerre blanc and a balsamic reduction. Casual lunch venue by day and exquisite steak house by night, The Brickyard features tableside salad service and top notch food quality. Their crab and butter Smothered Halibut is well known throughout Boise as well as their entrees that feature Certified Angus Beef. The Elk Tenderloin may be the best thing on the menu, however, made with a chanterelle mushroom demi glaze and mashed Yukon Gold potatoes. Bittercreek’s heavenly food made with quality local ingredients in a bistro-style setting makes for one amazing local eatery. From their classic Steak and Potatoes to their mouth-watering lamb burgers, every bite will leave you wanting more and more. Swing by for a beer and a burger after a long day downtown. A wide variety of tequila, mouthwatering Mexican cuisine, and a welcoming ambiance make The Matador one of Boise’s most rare downtown hangouts. Bring your friends and try the Citrus Shrimp Ceviche for starters, the Skillet Seared Fajitas for your main course, and wash it all down with a Lager-ita, made with Milagro Blanco, triple sec, lime, lemon, agave, and Dos Equis Lager. Fun and casual pub food paired with wine, spirits, and beer has made The Piper Pub one of Boise’s most popular hangouts on gameday. Go Broncos! True “pub culture” lives here with live music and entertainment. Stop by for a Whiskey Burger and beer to watch the game, or call your buddies and catch up over a couple of drinks and delicious wings.